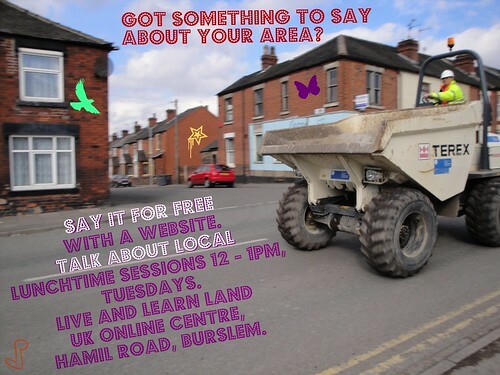 I was messing about with an image for a quick poster for the weekly talkaboutlocal sessions at Live and Learn Land in Burslem (every Tuesday at 12) and stumbled across some nice stickers that can be added to photos of local streets in Picnik. They can be edited directly from a Flickr account. Excellent idea and just what I was looking for!